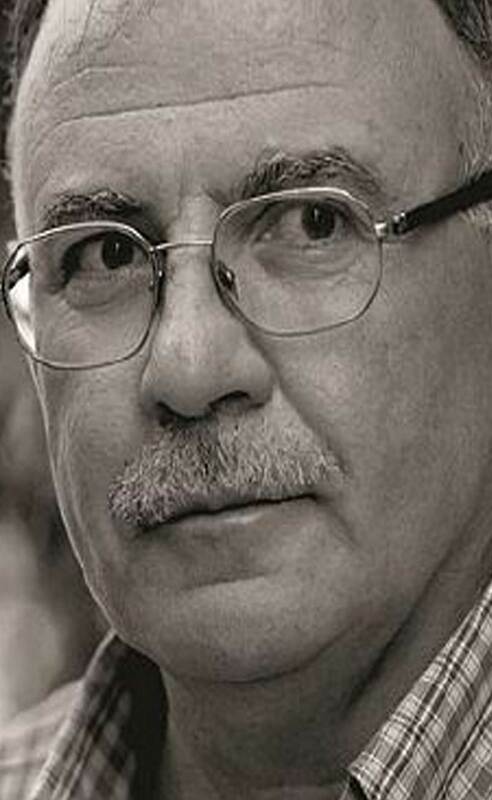 World-renowned and critically acclaimed Syrian artist Abdullah Murad was born in Homs in 1944. He is a graduate of the Faculty of Fine Arts from the University of Damascus in 1970. Murad is a member of the Syrian Syndicate of Fine Arts and the Arab Artists Union and is considered to be a pioneer of abstract expressionist Arab art. He won first prize at the Greeting to Miro and Picasso Exhibition at the Spanish Cultural Center in Damascus in 1984. Murad’s work has been displayed at many international group and solo exhibitions in Syria, Lebanon, Turkey, Bulgaria, Switzerland, UK and the Gulf. His work has also been a part of public and private collections including France, Germany, Switzerland, Bulgaria, Turkey, Bahrain and the Sharjah Museum, UAE. Murad’s paintings and drawings feature arabesque concepts and are deeply influenced by the fauvist colors and the abstract expressionist movement. His paintings are experimental and wild in the use of color and movement, exposing layers of details varying from thick impasto to transparent and mixing media textures, newspaper collages, and cut-outs. A contrast of area treatment and asymmetrical compositions dominate his paintings, allowing an intriguing alternation of space expansion. "I believe paintings depict an escalating wavy rhythm on the surface of a canvas that produce lengths charged with an invisible energy somewhat like static energy. Art in my opinion is a game or a match with the unknown and the search for treasures beyond the senses. The artwork is filled with mysteries woven by the effects of attraction and repulsion between stains, shapes and lines with the dynamics that result from collisions of the mind and logic with the bountiful feelings of passionate excitement. I sometimes seek to create graphics on thin paper pasted between spaces to link shapes and add other dimensions to the work, forming a collage. Generally I do not like the thought of straining a painting or adding elements beyond what it can take. It is an object that suddenly comes into existence, a product of a hopeless conflict between the basic materials and tools. Our lives and our very existence are useless and in vain."